Every year I get seasonal depression around the time of the equinox and every year it takes me by surprise. Every flipping year. At least I'm getting better at recognising it when it does hit, though. I also think that preserving food does help. Yesterday was a bad day, in a big weepy meltdown sort of way. 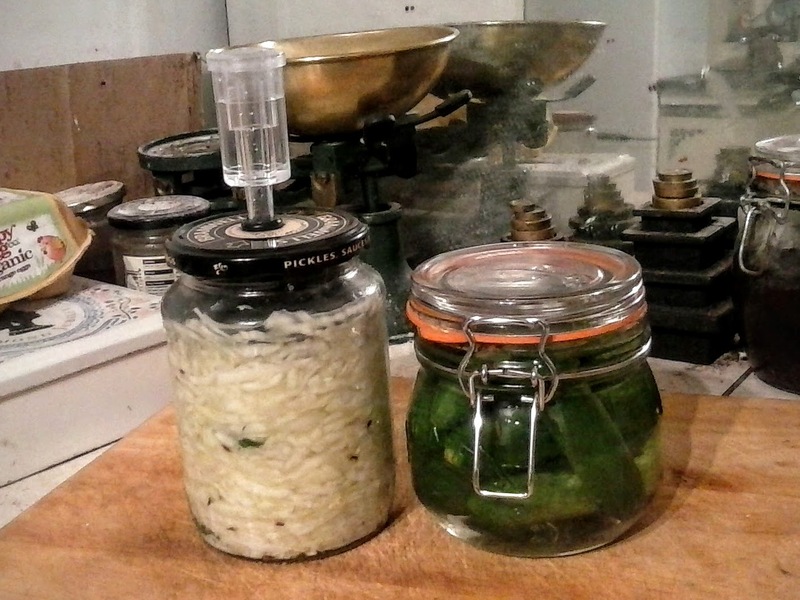 Today I feel better and I made sauerkraut, or at least started it. Sauerkraut. Also little cucumbers, just because I saw a packet for sale in Lidl, and people had been talking about fermenting them in an online group. It would be nice if the cabbage was home-grown, but even so, this is traditional preservation of seasonal veg, and it feels like the right thing to be doing at this time of year. After the tests, an actual post, slightly delayed due to an unfortunate encounter between my laptop and some beer. 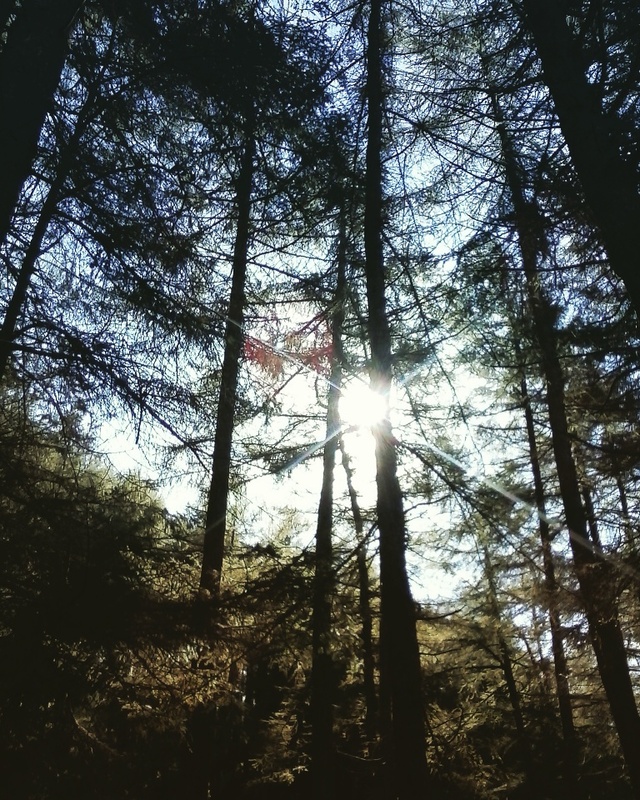 Happy autumn equinox! 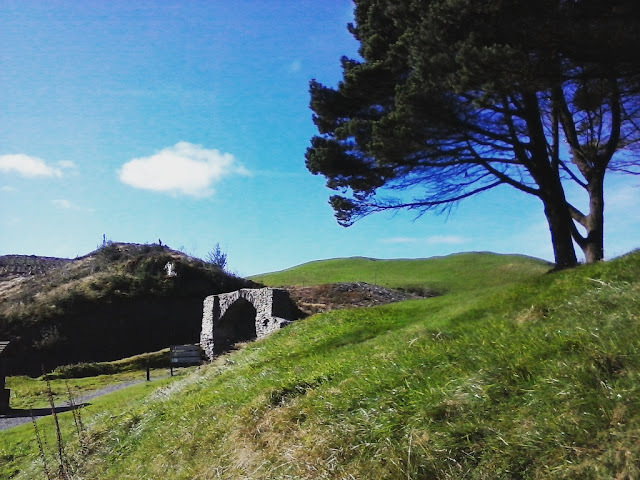 The Welsh name means mid-autumn festival and it's the middle of the three harvest festivals. In other words, we're slap-bang in the middle of harvest season. There's not a lot in the garden, thanks to the slugs, but there are plenty of blackberries and mushroom season is under way. 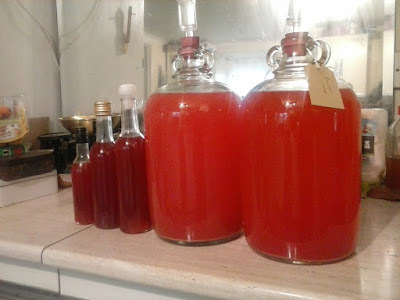 It's an excellent year for rowan berries, so I have a couple of gallons of rowan wine on the go. Rowan wine. Also rosehip syrup. Earlier in the year I gathered bilberries, dried them and then, because experience has taught me that dried bilberries are liable to in mouldy, soaked them in brandy. 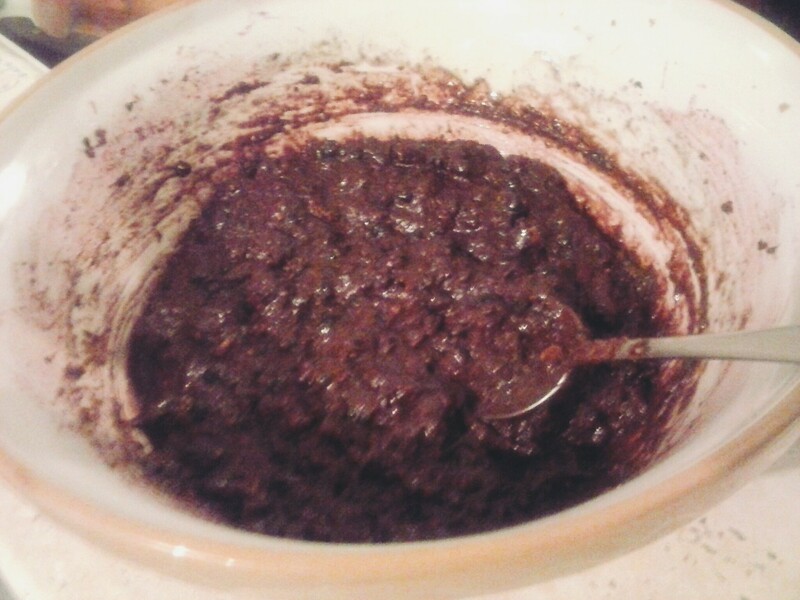 This evening I used them as the basis for my Christmas pudding, adding fresh hogweed fruit and rosehips, sloe puree, damson leather and quince jelly from last year, and some magnolia petals that had fallen into my sister-in-law's garden in the spring, which I gathered and pickled. I include some more conventional ingredients, too, like flour and sugar. I find it very satisfying to bring together these various preserved ingredients and turn them into a treat that will keep for the middle of winter. Let's see if I can get a photo saved and then uploaded. A couple of pics from a recent walk. The previous test went to the wrong blog. Now can I post one here? I enjoy spinning and live in an area full of sheep. I could easily get hold of a fleece, so what's stopping me? 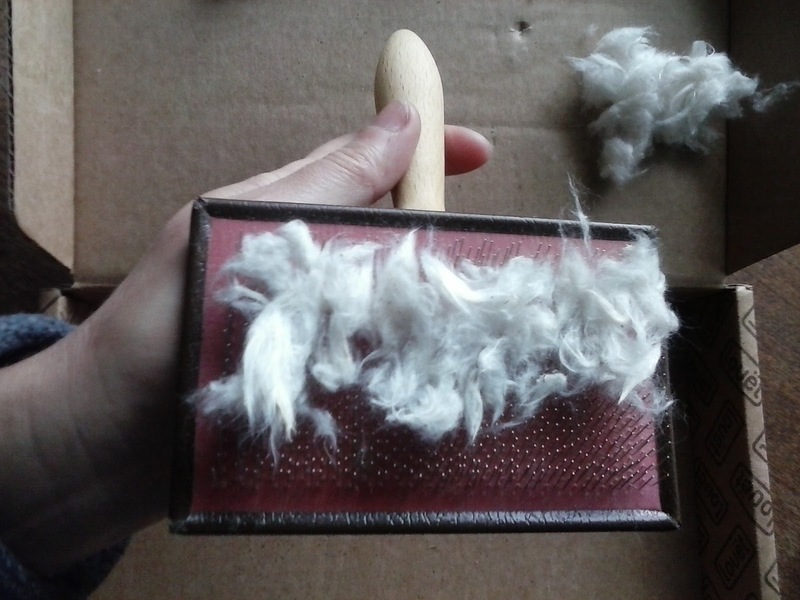 Well, fleeces don't come off the sheep ready to spin, they need washing and carding first. 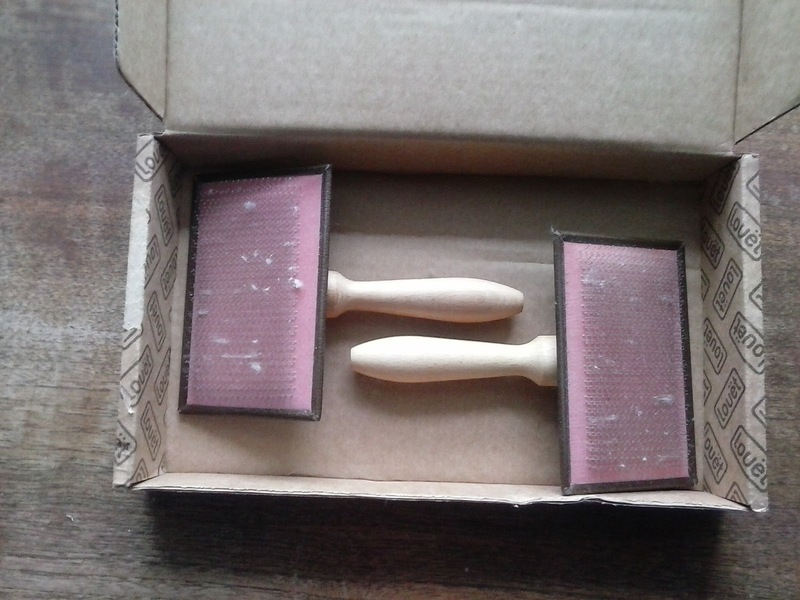 I don't have the tools for carding, which is a fairly major obstacle, but the washing puts me off almost as much. 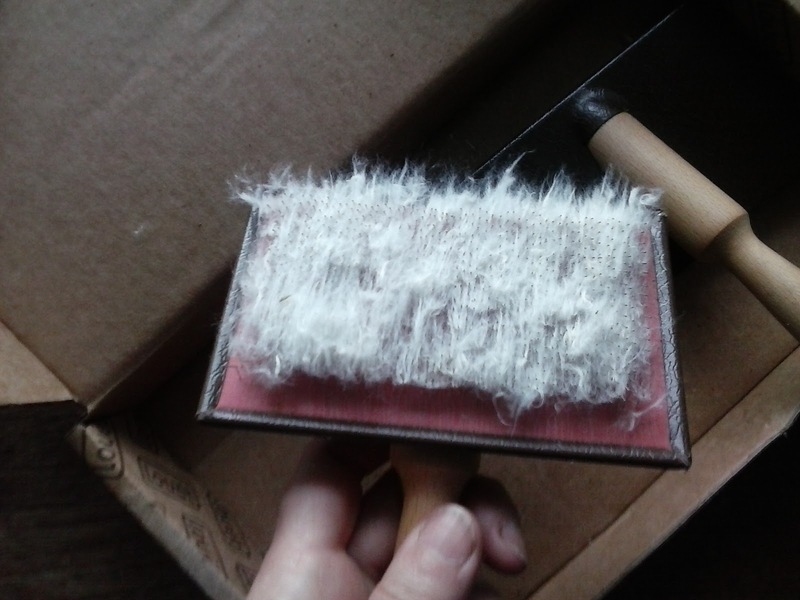 Wet wool is heavy and hard work to handle, and there's a big risk of felting while washing. Then I'd have to dry it afterwards, which in this climate is a serious challenge. 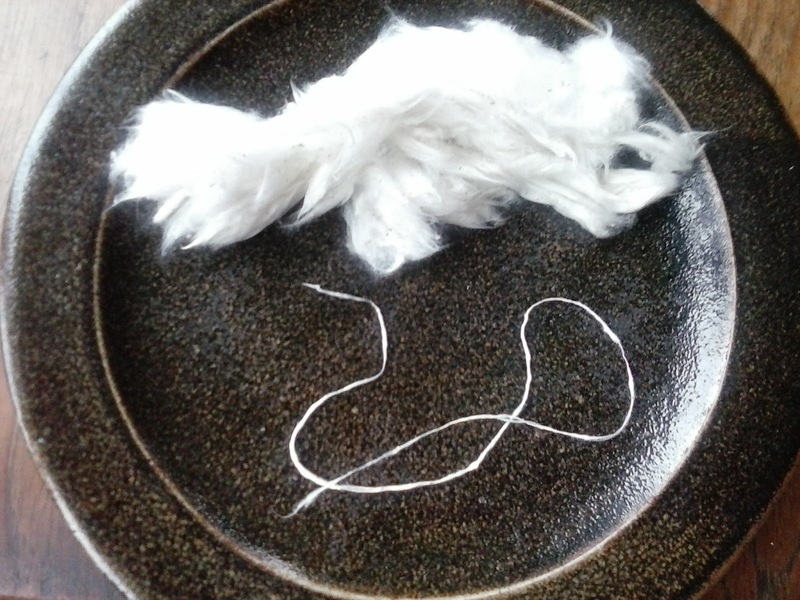 All in all, I'm not greatly enthused about the prospect of preparing fleece for spinning. On the other hand, there are fibres around that look a lot more attractive. Rosebay willowherb has spectacular flowers and spreads its seeds on the wind with little downy parachutes. 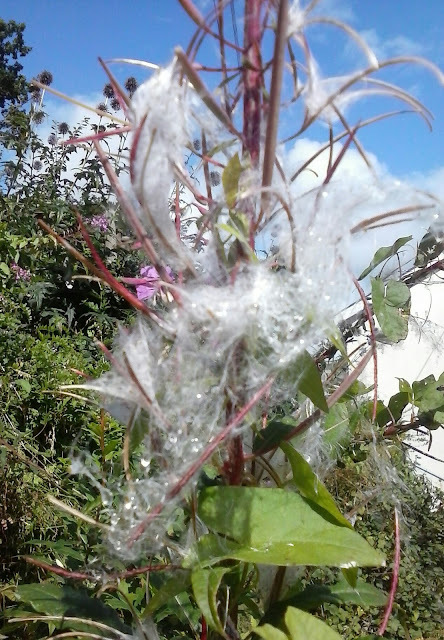 As the seed pods open in the sun, bundles of fluff are released. It's this fluff that attracts me. It's so beautiful! By way of experiment, I gathered a few pods full of fluff. It was so soft that I couldn't even feel it on my hands. It wasn't too difficult to pick the pieces of pod out of the fibre, apart from the gravity-defying property of the little parachutes. 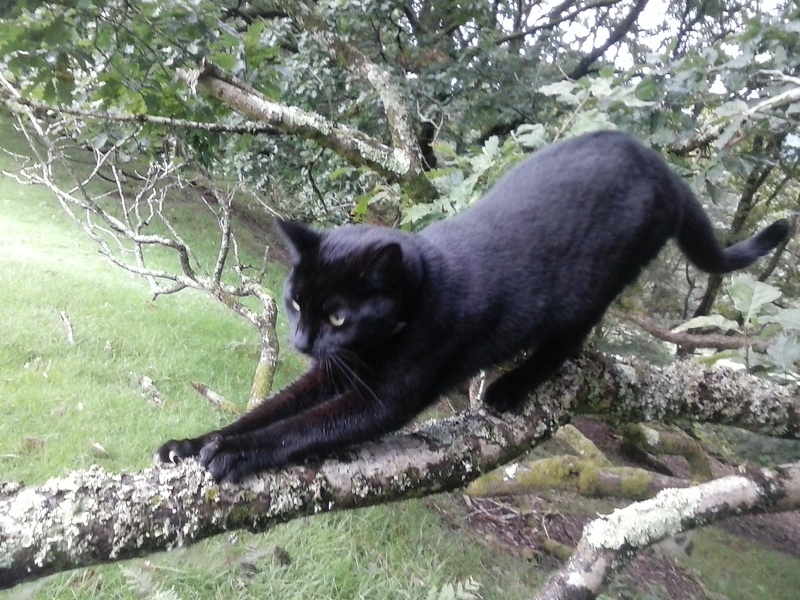 I'd be trying to put fluff down in a pile, and little bits of it would detach themselves and float up past my face. 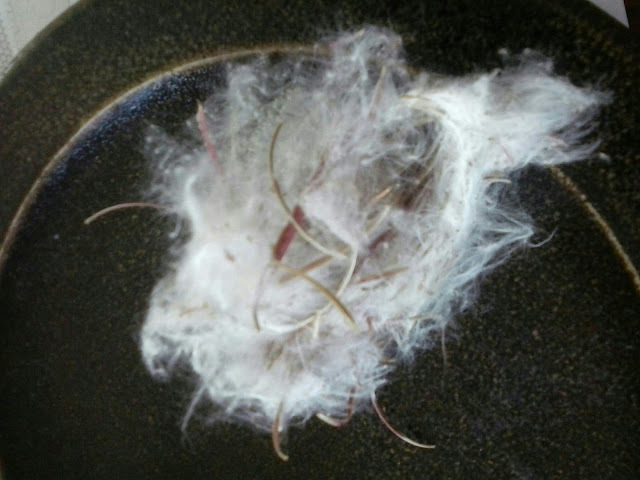 After a while, though, I managed to get a bundle of fluff without bits of seed pod stuck in it, though I didn't manage to remove all the seeds. 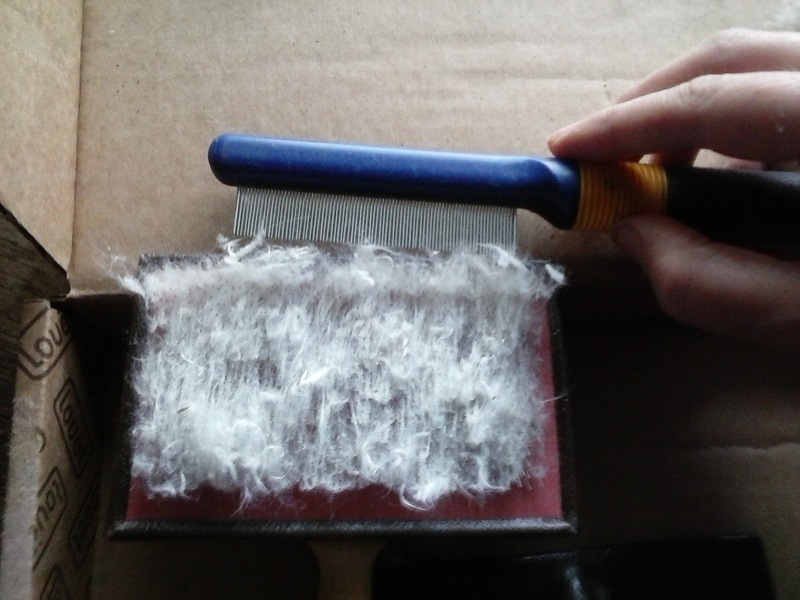 Ideally, at this point, I'd card the fluff, which would not only line up all the fibres in the same direction, but hopefully also comb out the remaining seeds. 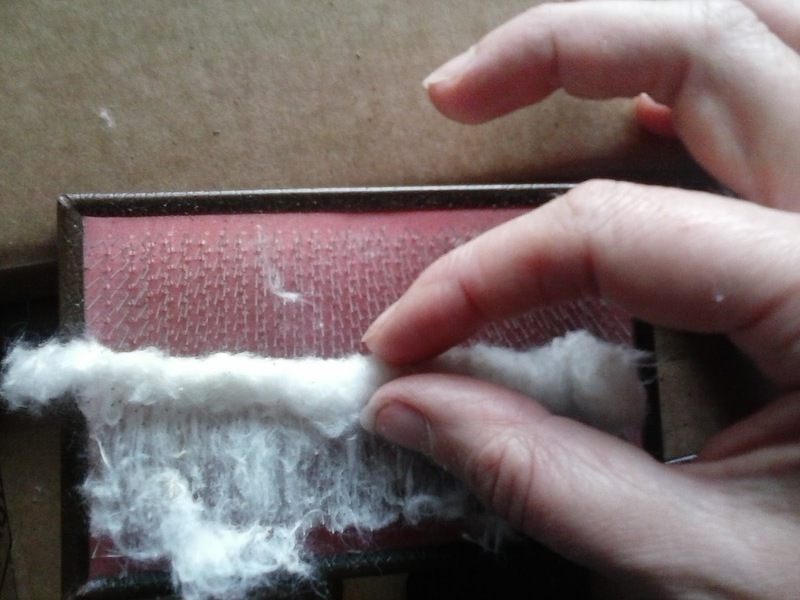 As I said above, I don't have carders, but I found that by pulling the bundle apart with my fingers, the fibres aligned themselves quite nicely. The big question, of course, is whether it would be possible to spin this fibre? One critical factor is staple length, i.e. the length of individual fibres. 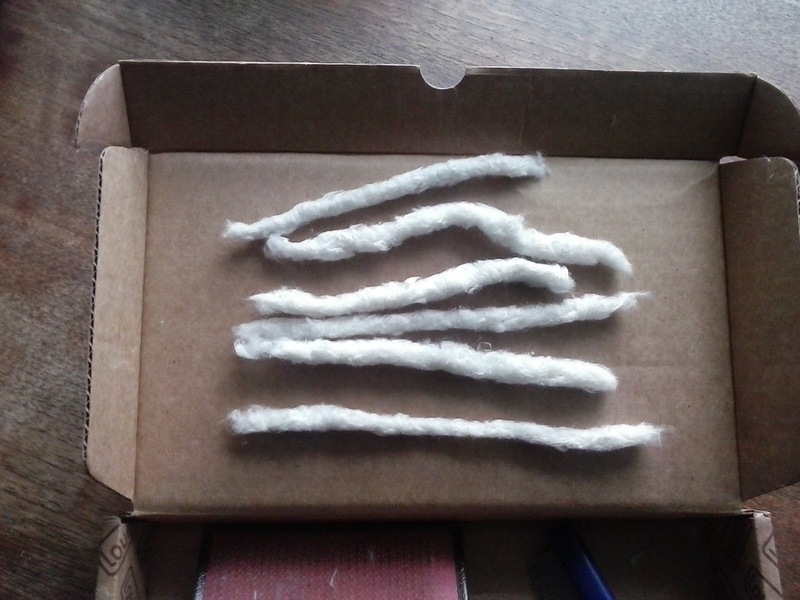 I tried to look up the typical staple length of wool, for comparison, but it turns out that this question is rather like, How long is a piece of string? Anyway, it's upwards of two inches (50 mm). 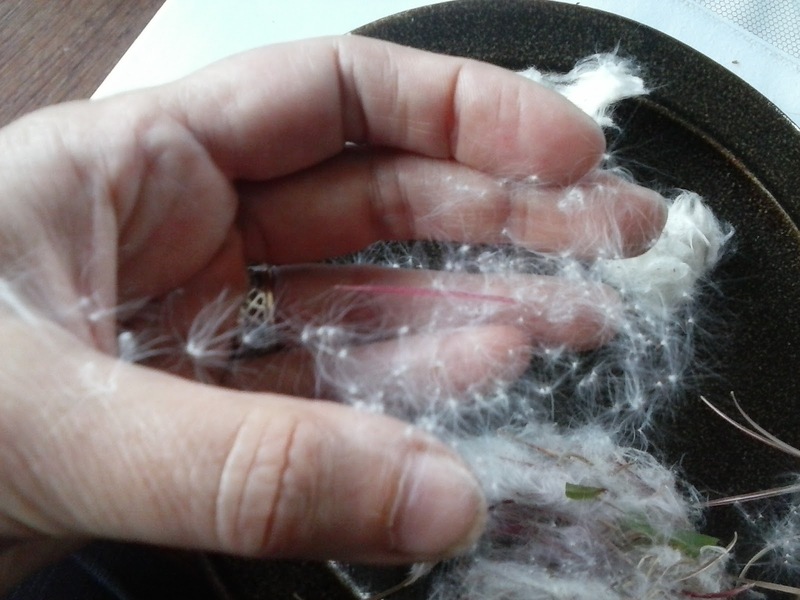 A more sensible comparison, perhaps, is cotton, as that also comes from seed heads. There is considerable variation here, too, but it seems to range from about half an inch to about one and a half inches (13-38 mm). 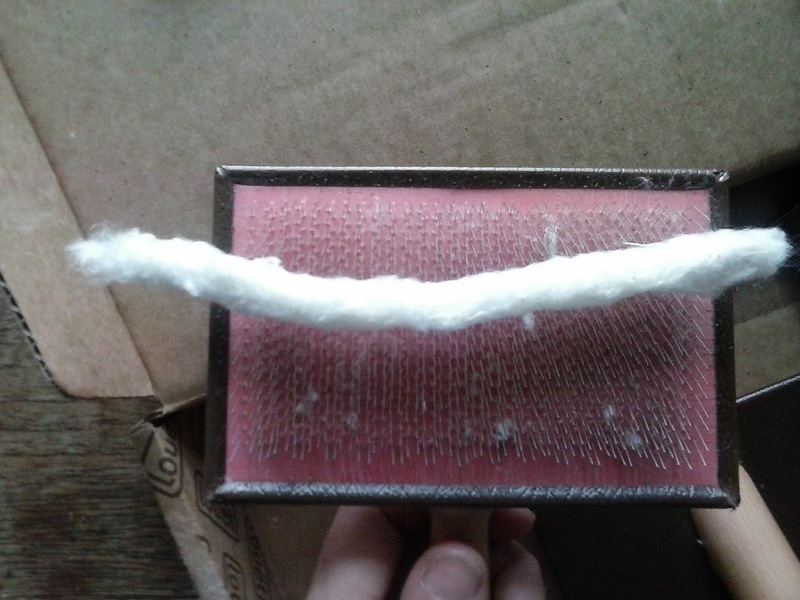 I measured a little clump of fibres, and it was about half an inch long. That's right at the bottom end of the range for cotton, which is considered poor quality, but perhaps it's just about long enough to be feasible. Having concluded that theoretically, it should be possible (just) to spin this, I decided to try a bit. Not with the wheel, as I'd need a larger quantity for that. I just teased out a bit and twisted it with my fingers to see whether I could persuade it to form a thread. Yes. Yes, I could get a thread, of sorts. It's not at all strong, but then it is very fine. 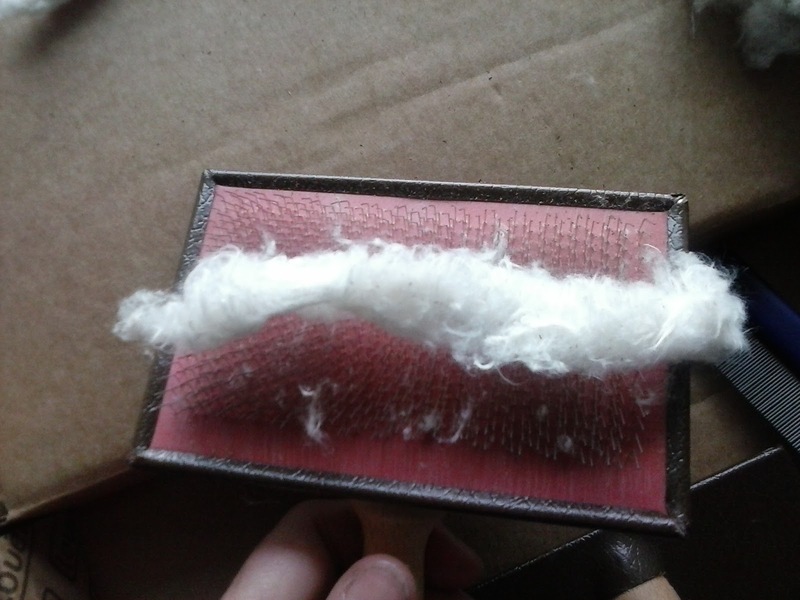 I don't think I'd be aiming for such a fine thread, so with more fibres running together, hopefully it would be a bit stronger. It would probably be better if I had the right tools, too. This brings me back to the question of carders, which is a bit of a sticking point as they're expensive. Like, fifty quid expensive. That feels like a lot of money for something that might not work. Furthermore, not all carders are alike. 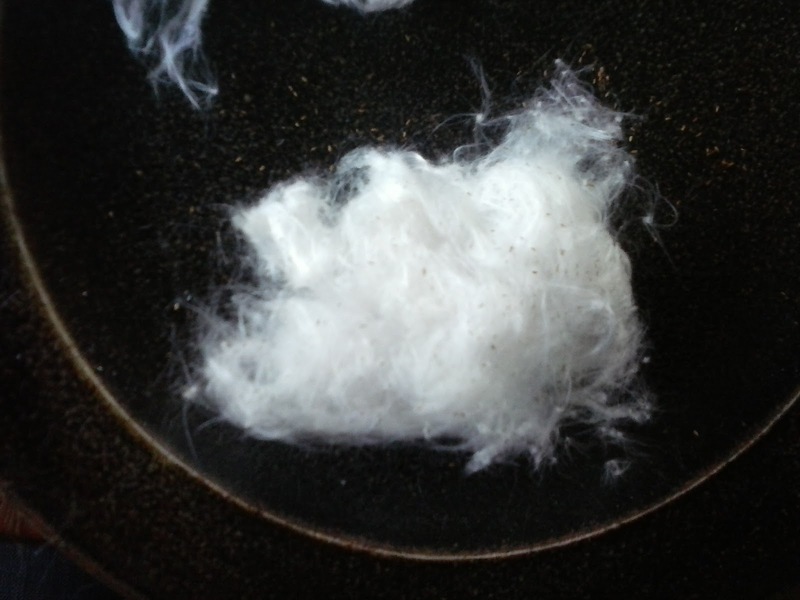 The ones for cotton are much finer (more teeth per inch) than the ones for wool. 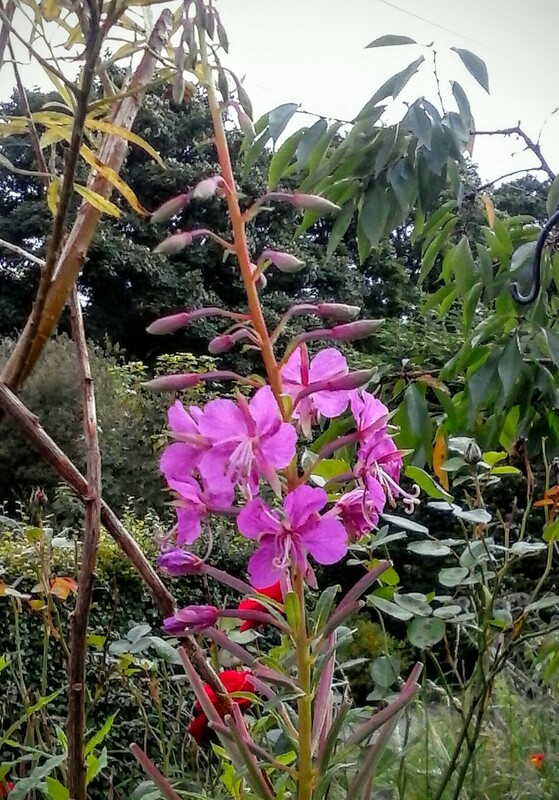 If my daft idea of spinning willowherb fibre didn't work out, I'd have an expensive set of carders and no use for them. I'm not sure what to do now: Do I risk the money on something that may turn out to be useless?